Vote on which ones you like best!!!! Can can can you do the can can? WOOOOOOOOOOOOOT!!!!!!!!!!! 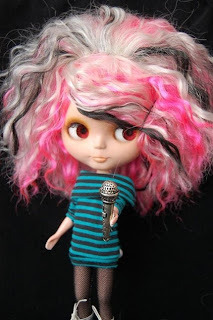 I'm getting a Can Can Cat Blythe doll!!!!!!!!!!! YAAAAAAAAAAAAY!!!!! I'm gonna do a post tomorrow about names I'm considering. 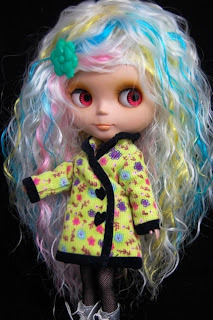 If you don't know what she looks like just google can can cat blythe doll. never mind, I KNOW it's a cult! GAAAAH!!!!!!!!! It's so scary when the letters are flashing!!!!!! I wanna see this so badly!!!!!!!!! 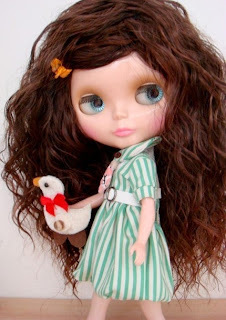 So, the person I was going to buy Tweedly doo from said she sold her already. But, I am going to buy something much better........A KENNER!!!!!!!!!!!!!!!! 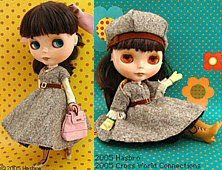 there is one on ebay that is currently 70 bucks (+shipping) she has one day left on her so I'm going to wait until tomorrow night to bid. YAAAAAAAY!!!!!!!!!!! I decided I'm gonna get Tweedly Doo!!!!! Your votes mean NOTHING to me now!!! mwahahahahaha!!!!!! Lol, just kidding. 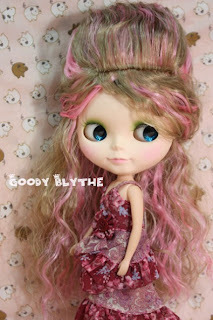 Which blythe should I get???? 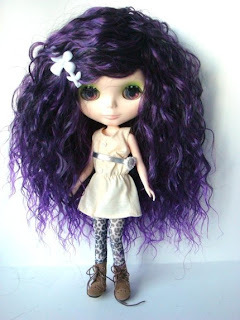 So instead of giving Paloma and Tallulah Re-roots, I'm going to sew Blythe wigs on they're scalps (Oh my god! that sounds like torture!) but I can't decide which ones to buy. Here are the ones I like, tell me which ones you like for which girl. Thanks! Louise, Risa and I are planning a most excellent scheme, I cant say what....but will be grand. Louise, Risa and I had a sleep over last night, we watched buffy. Meh, that's all really...... I mean, there is another thing..but......I cannot type it.....such a disgrace...such a disgusting disgrace!